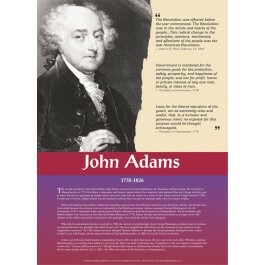 This educational poster features a striking black and white image of John Adams, along with three quotes from his writings, and a concise biography of his life and accomplishments. Adams became the nation's first vice president and second president. He famously called the vice presidency "the most insignificant office that ever the invention of man contrived or his imagination conceived." 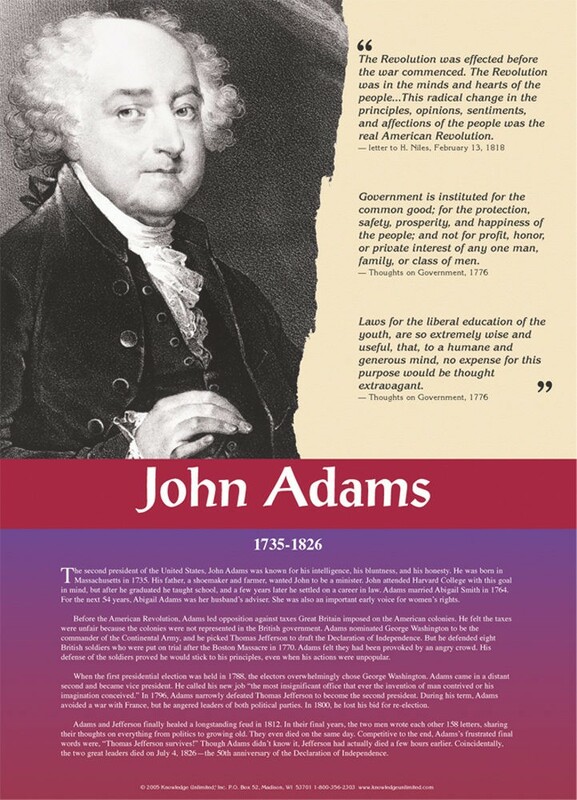 He died the same day as Thomas Jefferson -- July 4, 1826 -- 50 years after the signing of the Declaration of Independence.